There are many consumables available for 3D printing, and their number is steadily increasing. So, you have a choice, and this guide is intended to guide you in the acquisition of consumables by giving you all the information you need. The most common printers which deposit melted filaments (FDM) use 3D filaments. The range of materials available to buy is very large for 3D filaments. Each filament type has its own characteristics, advantages and limitations. You are making a mechanical prototype or finished parts, simple or complex printing, you have a heated plate or not, your printer can print at a temperature of 260° C or 300° C ... all these parameters, and many others, need to be taken into account when you buy your 3D filament, and this guide will help you. Other 3D printers use a different type of consumable: resin. Resins are designed for 3D printers using SLA / DLP (laser or video projector) technology, such as the Form 2 by Formlabs. As with 3D filaments, there are several kinds of resins, however, the current choice is a bit more restricted, mainly concerning the colours. 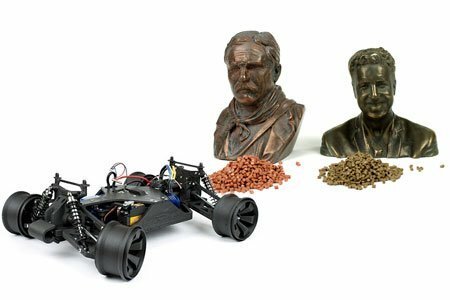 Nevertheless, you can buy normal, flexible, castable and highly resistant resins, enough to fulfil most rapid prototyping needs! The selection criteria depend on your use, and you may well be interested in reading this guide before buying resin. The information and advice provided in this guide will help you to be more familiar with consumables, and guide you in buying your consumables for your 3D prints. PLA 3D filament (Polylactic Acid) is a bioplastic made from recycled products or corn starch. It is biodegradable and has a pleasant scent when printing. 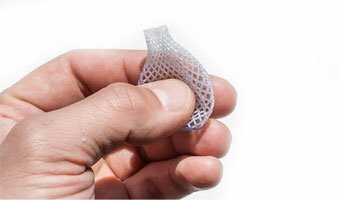 This is by far the most widely used desktop 3D printing material due to its printing simplicity, the fact that it is natural and odourless, and its ability to faithfully retain the dimensions. When to use PLA filament? PLA is the most used material for 3D printing, and not only for its ease of printing, as it's suitable for many uses. Generally speaking, you can use PLA for any use not subject to significant mechanical forces, or intended for outdoor use. Decoration, utensils, finished parts, marketing & communication, modelling, architectural models, etc. 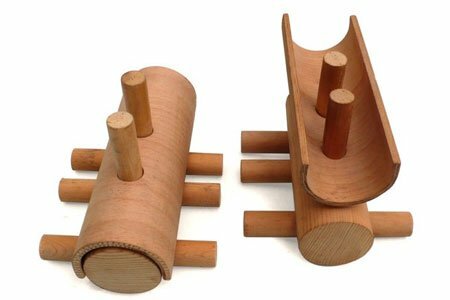 In addition, its propensity for retaining dimensions makes it ideal for non-mechanical, functional prototypes. ABS 3D filament (Acrylonitrile Butadiene Styrene) is a durable and impact-resistant thermoplastic. It is found everywhere in everyday life (for example, in household appliances and industry in general). Risk of deformation and detachment of the printed parts (warping). This makes it difficult to print. 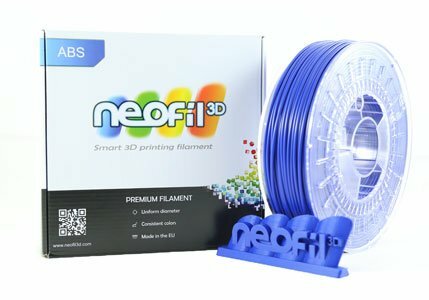 When to use ABS filament? ABS is ideal for designing industrial prototypes, mechanical parts, gardening, DIY, everyday items, toys, etc. Very common, it is found in many everyday objects because of its widespread use in industry. These include the type of plastic used to make the famous LEGO. As a last resort, an "ABS slurry" (ABS diluted with acetone) can be used to ensure the ABS sticks to the bed. Protect from draughts when printing. It is possible to smooth the outer surface of printed ABS products by applying acetone to it ("crude" or spray). To clean or unclog your extrusion heads, use acetone. NYLON 3D filament is a plastic in the polyamide family (artificially produced by polymerisation). It is often found in the textile and automotive industries, for example. Taulman is, to date, the main brand offering Nylon filament for 3D printing. When to use Nylon filament? Nylon filament is ideal for prints requiring great strength and some flexibility. It can, therefore, be used for making durable and strong mechanical parts. For best results, it is possible to dry the filament in the oven before printing (150° C). This way you remove the moisture that could become integrated into the material. PET / PETG 3D filament (polyethylene terephthalate), is the most common thermoplastic polyester and is the most used material for sparkling water bottles. This is indeed a food-grade plastic approved by the FDA that is found in a lot food packaging. When to use PET / PETG filament? PET filament can be used for food containers, designing fashion jewellery, electrical components, or any other creation requiring transparency, toughness, sealing or food contact. Formulated from thermoplastic elastomer (TPE), flexible (and elastic) 3D filament truly brings a new dimension to desktop 3D printing. 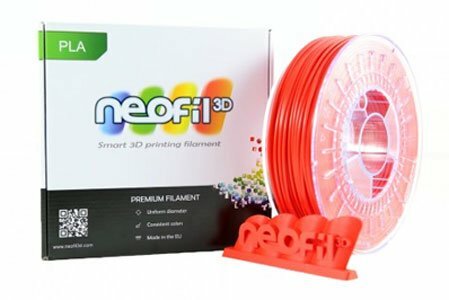 Some brands stand out for this type of material: FilaFlex , NinjaFlex or Polymaker for its really easy to print and very high quality flexible filament. When to use flexible filament? 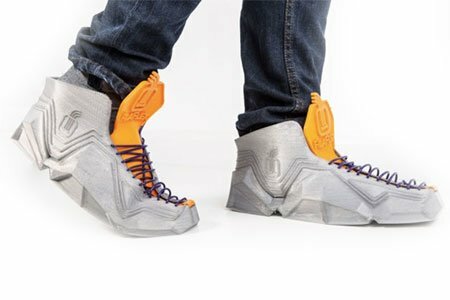 Flexible filament allows you to print objects that can stretch, twist and bend without breaking, such as soft shoes, elastic belts, shoe soles, grips, tires, etc. Lubricate the filament access tubes to the extruder (bowden tubes) in order to limit friction of the filament against these tubes. Wood filaments, originally known through Laywoo by many makers, is a filament made of a PLA and wood powder composite. The amount of wood powder contained in a wood composite filament is generally between 25 and 40%. When to use Wood filament? Wood filament is a perfect filament for prints with decorative purposes, or, for example, for architectural models with wood. 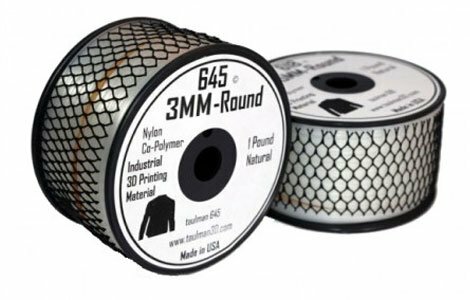 Since the filament is made of particles, it must be printed with 150 micron or greater layer height. Stone filaments, known through "Laybrick" by users of 3D printers, is a filament made of a PLA and stone powder composite (stoneware). The amount of stone powder in a stone composite filament is usually between 25 and 40%. When to use Stone filament? 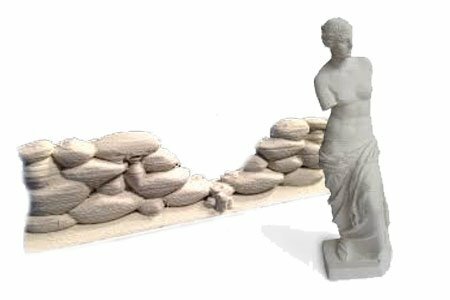 Stone composite filament is a perfect filament for prints with decorative purposes, or, for example, for architectural models, statues, etc. Metal filaments are composites of PLA and various metals. Metal filament can be found with the following metals: bronze filament, carbon filament, copper, stainless steel, brass and iron filament. Please note: metal filaments have different characteristics depending on the metal used: for example, carbon will be a little trickier to print but very strong! Bronze filaments are rather decorative, copper and iron filaments have electrical transmission properties, etc. Wide selection of metals to have extremely strong parts (Carbon), impressive decorative effects (Bronze, Copper, Brass), conductive properties, etc. Abrasive! Especially carbon. You need to print with metal, not brass, nozzles if you don't want to have to replace it every three prints. When to use metal composite filament? Metal filaments provide the aesthetics and density of metal. They are perfect for jewellery, costumes, accessories, figurines, crafts, robots, and more. 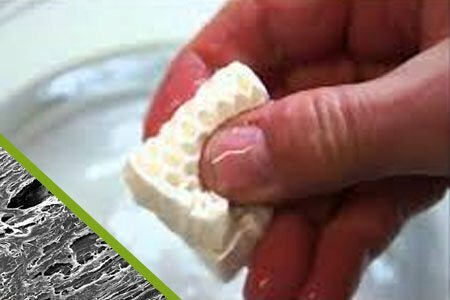 Porous filament (LayFelt, LayFomm, Porous) is made from an elastomeric polymer (rubber type) and a PVA component. This means that part of this filament is soluble in water. Composed of foam, it has similar characteristics to felt, it contains stiff/flexible fibres with a "felt" appearance. 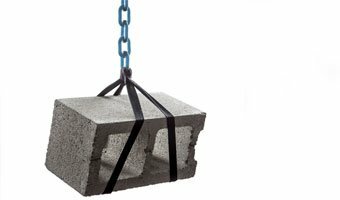 When to use porous filament? The function of this material makes it ideal for printer filters, flexible objects like those used in biological, physical and chemical sciences (3D membranes, semi-permeable membranes, artificial paper and foldable felt fabrics). It is also very suitable for use in water treatment membranes, or electro-cells. SLA resins are only designed for 3D printers using SLA / DLP (laser or video projector) technology. Combined with the high-precision laser of stereolithography 3D printers, they provide an incomparable finishing quality and level of detail! "Conventional" resins (not flexible, castable, etc.) are photosensitive resins designed for all your creations with a 3D printer using SLA technology. The resins provide prints of the highest quality and durability. 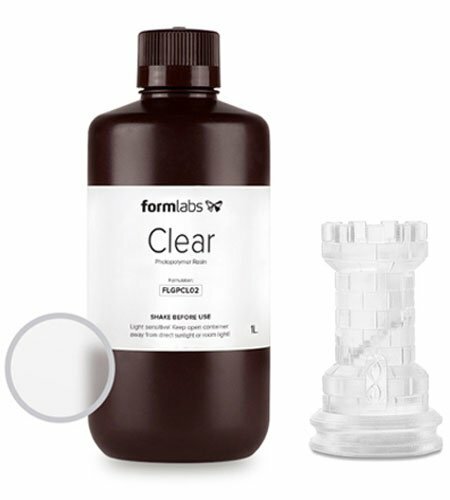 If you use a Form 1+, we recommend Formlabs resins. Not only are they adapted to the machine, but they are also, quite simply, top quality! * Resins themselves do not cause any printing problems. The key to succeeding at printing with SLA technology lies in the positioning of the piece and supports. When to use SLA resins? Conventional resins are suitable for all types of use. Castable resin is a resin that can be burned to create moulds of your printed pieces. It is especially interesting for the dental industry and jewellers. *Castable resins themselves do not cause any printing problems. The key lies in the burning and the equipment required to carry it out. When to use castable resins? The usefulness of castable resins essentially lies in their ability to burn cleanly and retain a very high level of detail, so as to create a mould from your printed piece. You need to be patient at the beginning and have the required equipment or you will not get good results from this very technical kind of resin. 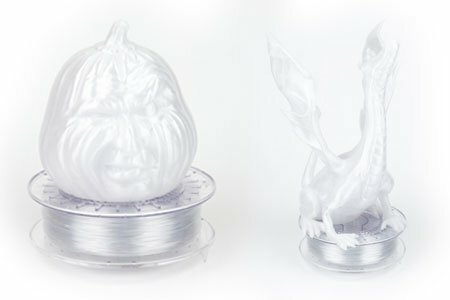 With a 90% elongation rate for Formlabs resins, for example, flexible resins are designed for very elastic creations with shape memory. * Flexible resins themselves do not cause any printing problems. The key to succeeding at printing with SLA technology lies in the positioning of the piece and supports. When to use flexible resins? Flexible resin is great for prototyping, product design and engineering (handles, grips, gaskets, moulds, prototyping soft overmoulding, etc.). Safety rules must be followed when using flexible resin on your 3D printer, gloves and goggles must be worn when handling. Tough resin by Formlabs was specifically designed to deliver rock solid strength. This is an ultra-strong resin for mechanical applications, robotics, etc. When to use Tough resin? Tough resin is the solution for all engineering and mechanical prototyping needs. For example, no member of Makershop could break by hand a closed chain composed of a dozen links (printed at once).